boardboard1 /bɔːd $ bɔːrd/ ●●● S1 W1 noun 1 INFORMATIONinformation [countable]INFORMATION a flat wide piece of wood, plastic etc that you can use to show informationon a board The plan of the new building is displayed on a board at the back of the room. I’ve put a list of names up on the board. I’ll check the departure board for train times. 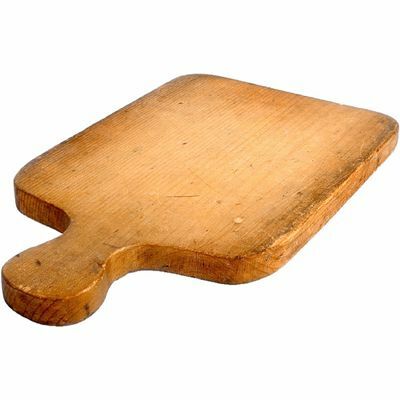 → billboard, blackboard, noticeboard, scoreboard2 for putting things onFOR PUTTING THINGS ON [countable]DFUDG a flat piece of wood, plastic, card etc that you use for a particular purpose such as cutting things on, or for playing indoor games Martha was chopping vegetables on a wooden board. a chess board → breadboard, cheeseboard, chopping board3 group of people (also Board)GROUP OF PEOPLE [countable]GROUP OF PEOPLE a group of people in a company or other organization who make the rules and important decisionsboard of The Board of Directors met yesterday. There was disagreement among the agency's board of governors.sit on a board/have a seat on a board (=be a member of a board) He gave up his seat on the board after 40 years. a board meeting a board memberGRAMMAR: Singular or plural verb?• Board is usually followed by a singular verb in this meaning: The board meets once a month.• In British English, you can also use a plural verb: The board meet once a month.4 → Board5 in buildingFOR BUILDING [countable]TBC a long thin flat piece of wood used for making floors, walls, fences etc We’ll have to take the boards up to check the wiring. → floorboard6 → on board7 mealsMEALS [uncountable]DF the meals that are provided for you when you pay to stay somewhere In the nursing home she will have to pay for room and board. The landlord provides board and lodging (=meals and a place to stay). → full board, half board8 → go by the board9 in water sports [countable] a surfboard or sailboard10 → across the board11 → take something on board12 electricity [countable] a circuit board13 → the boards14 → boards15 → college/medical boards → above board, diving board, drawing board, ironing board, sounding board, → sweep the board at sweep1(11)COLLOCATIONS – Meaning 3: a group of people in a company or other organization who make the rules and important decisionsphrasesa board of directors/trusteesThe board of directors met yesterday.a board of governors (=in a school)She sits on the board of governors.the school board American EnglishThe school board voted on the appointment.the chairman of the boardJames Clark has been named chairman of the board.board + NOUNa board memberTwo board members resigned earlier this year.a board meetingAn emergency board meeting will have to be held.at board level (=at a senior level in a company, involving people on the board)The policy was approved at board level.verbsbe on the boardHe's on the board of trustees.be appointed to the boardThey agreed that an independent chairman should be appointed to the board.sit/serve on the boardShe had served on the board of governors of the BBC.have a seat on the boardHe gave up his seat on the board after 40 years' service.put something to the board (=ask the board to consider something)Their proposals were put to the board.